January 26: Faith and Race Conference A Success! No one who entered the fellowship hall of LA’s Holman Church on January 26 could fail to sense something special, something sacred, going on there. 200 leaders from all faith traditions, regional anti-racism activists, and (most importantly) many people with direct lived experience of the brutality of mass incarceration and immigrant detention gathered to learn and grow together over the course of a six-hour transformative experience presented by the Justice Not Jails program of the Interfaith Movement for Human Integrity. Powerful back-to-back keynotes from theologian Charlene Sinclair and UCLA historian Kelly Lytle Hernandez threw into high relief the spiritual and ethical abominations created by 500 years of white supremacy in North America. 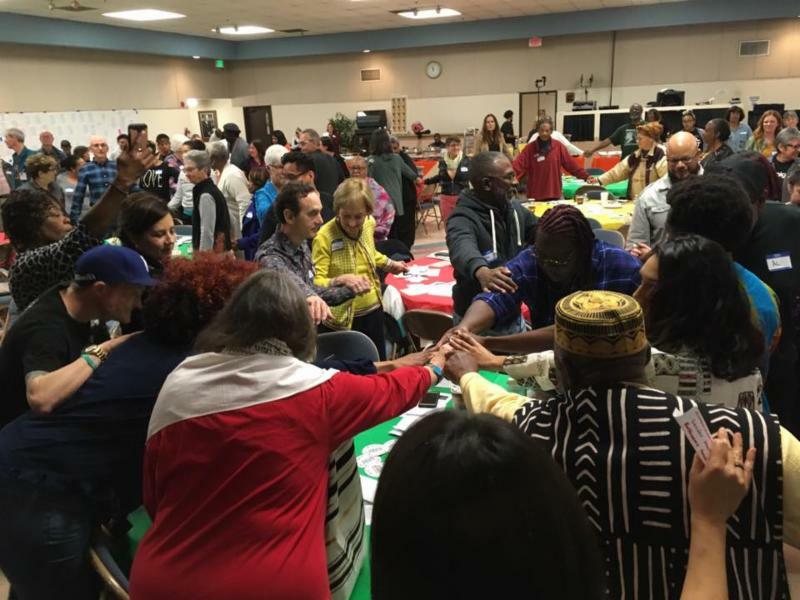 Two panel discussions that followed, featuring the victims of incarceration/detention and faith leaders working toward prophetic resistance, maintained the same level of spiritual and emotional intensity, as did the inspiring musical interludes and bonding rituals that punctuated the day-long program. All participants recommitted themselves to the daily struggle to build the Beloved Community and preach deliverance to the captives, sometimes using words.